The Eastern Shore of Maryland and Virginia has a terrific collection of historic and scenic small towns. You can spend a fun week (or more) driving or sailing from one to the next. The towns are listed here roughly in order from north to south. Have fun exploring the Eastern Shore! 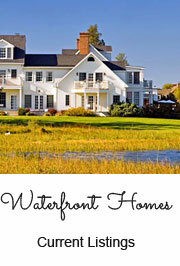 Eastern Shore Hotels: If you're looking for a place to stay, see our Eastern Shore hotels page. Ocean City MD: Maryland's big oceanfront resort. Big hotels, nightclubs, and amusements. There's lots of activity every summer weekend. Chesapeake City, MD: A picturesque small town on the C&D Canal (which connects the Chesapeake and Delaware Bays). See ocean-going ships sail through the center of town. The historic downtown is on the southern side of the canal. Dover, DE: The capital of Delaware has several historic sites, arts performances, the Dover International Speedway, and Dover Downs Casino. Chestertown, MD: Historic town on the banks of the Chester River. An important port of entry for colonial settlers to Maryland. See the 18th century homes and shop in the interesting stores. Don't miss the Schooner Sultana. Rock Hall, MD: Plentiful marinas make this a favorite destination of boaters. Colonial travelers went by ferry from Annapolis to Rock Hall, and there are cruises that make the same trip today. Lots of shops and restaurants. Learn about working on the water at the Waterman's Museum. St Michaels, MD: This waterfront town is overrun with tourists ... but they have good reasons for visiting. The setting is beautiful, the Chesapeake Bay Maritime Museum is excellent, and there are shops, restaurants, and luxury hotels catering to the crowds. Tilghman Island, MD: Surrounded by the Chesapeake Bay, and a great stop if you are cruising the Bay. Tilghman Island is a true working watermen's village with excellent fishing and fresh seafood. It's also home to the last commercial sailing fleet in North America, the skipjacks, which are on display at Dogwood Harbor. Easton, MD: Another attractive historic town. Do the walking tour and visit the shops. The Avalon Theatre hosts performances by national-calibre acts. The town is the home of the famous annual Easton Waterfowl Festival. Oxford, MD: A quiet little town located near the mouth of the Tred Avon River. This charming village has true colonial era history. Tour the replica Customs House. Multiple marinas for boaters. Cambridge, MD: Another very old town (settled 1684). Museum, the Skipjack Nathan, Sailwinds Park, and a fishing pier are attractions. This is also the home of the Hyatt Regency Chesapeake Bay marina and golf resort. Salisbury, MD: This is the central city for the Eastern Shore. You'll find lots of chain stores, hotels and restaurants here. Home of the minor league Delmarva Shorebirds baseball team. Visitor attractions include the Salisbury Zoo and the Ward Museum of Wildfowl Art. Crisfield, MD: It's a long drive to Crisfield from just about anywhere, but many visitors arrive by boat. The Somers Cove Marina is huge. This is a good place to buy crabs. Chincoteague, VA: Virginia's island resort is also the gateway to Assateague Island National Seashore. A seaside town without the high-rises and crowds of Ocean City. See the famous ponies. Parksley, VA: A planned community built at the turn of the century when the railroad came to the Eastern Shore. Walk around town to admire the Victorian homes, and go in the many shops. Don't miss the railroad museum. Accomac, VA: Take the fascinating walking tour of the seat of Accomack County. The homes and tiny churches are wonderful architecture. Onancock, VA: Pretty town at the head of Onancock Creek. The wharf has slips for boats and the downtown has shops, galleries and a plethora of restaurants. Quality bed and breakfasts and a boutique hotel too. Wachapreague, VA: Tiny seaside fishing village. The "flounder capital" has a large marina, restauraunt, and a few shops. Rent a boat to get out to the undeveloped barrier islands. Eastville, VA: Yet another true colonial era town. The well-preserved old courthouse and inn are worth the trip. Cape Charles, VA: Like Parksley, this town was built when the railroad arrived at the turn of the century. It was the port for ferries to Norfolk. The fashionable Bay Creek golf and marina resort has brought new life to the town.